Any avid DIYer knows the joy of a good stack of paint chips. 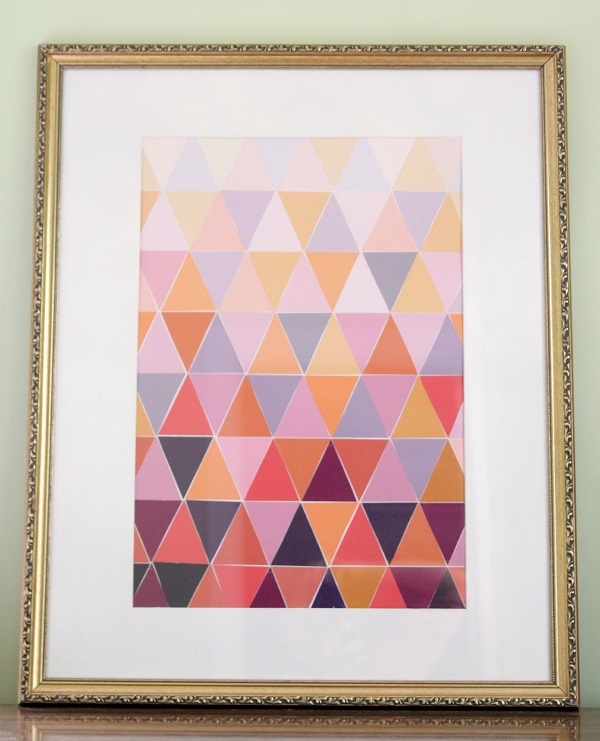 Whether you’re choosing the perfect new wall shade or simply gathering a colorful collection, paint chips are a must-have for innovative decor lovers. Instead of bundling the strips away in a drawer, display them in a creative manner. 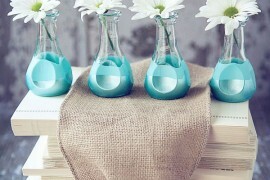 For inspiration, check out these paint chip DIYs. 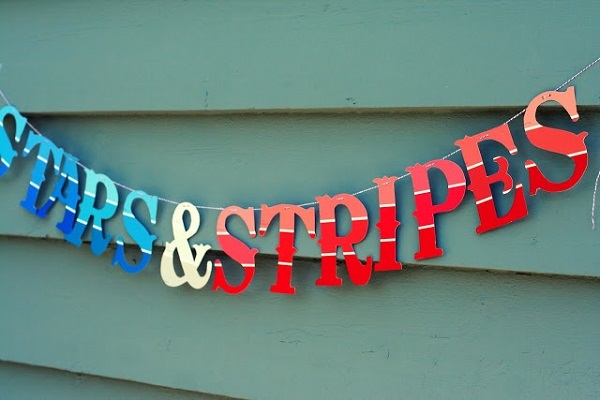 Though the 4th of July has passed, you can still show your pride with a patriotic DIY. 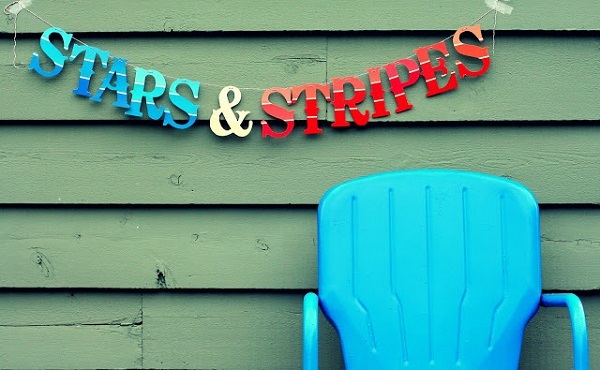 This banner by Rebekah of A Bit of Sunshine is perfect if you want to avoid a typical flag design. Simple but festive- and an easy project to complete. 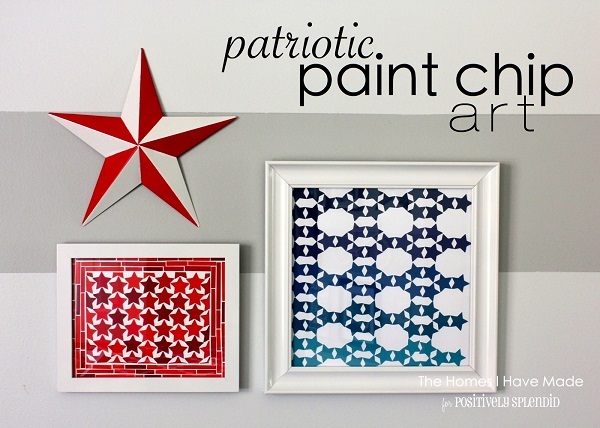 Show some love for the USA with star-studded wall art by Megan, featured on Positively Splendid. The quilt-like mosaic configuration is beautiful when set in classic white frame. Back your red and blue stars against a white mat for high contrast. 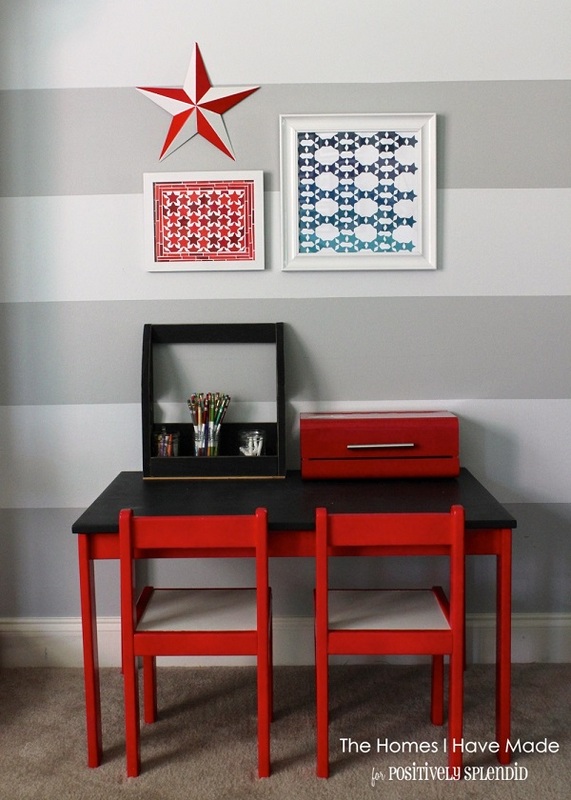 Justin and Cassity of Remodelaholics showed their love for the ombre decor trend with this paint chip wall art DIY. 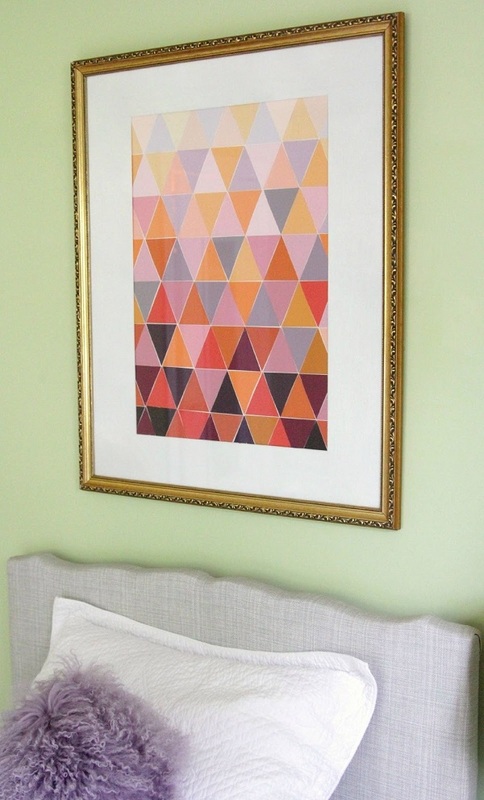 Score an inexpensive flea market frame like this crafty pair and dress it up with your own colorful artwork. 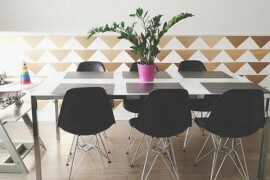 Any geometric pattern will work for this project- try squares or diamonds as a variation. How many times have you visited the hardware store and picked up paint chips in a million different shades? This modern piece featured on A Beautiful Mess provides the perfect use for all those colorful souvenirs. 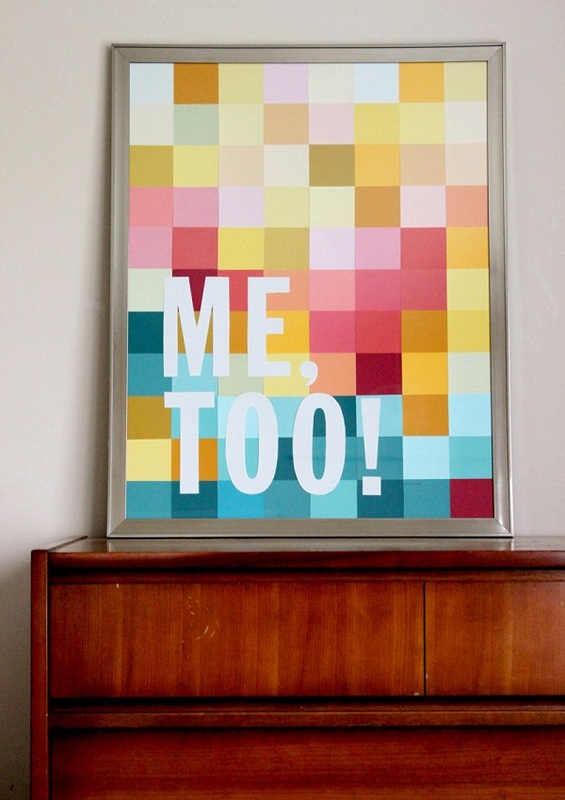 For a unified look, stick to two or three colors and vary the shades, or mix it up with random hues for an eclectic feel. Transform an inexpensive frame into a chic memo board with this DIY by Shannon of Burlap & Lace. 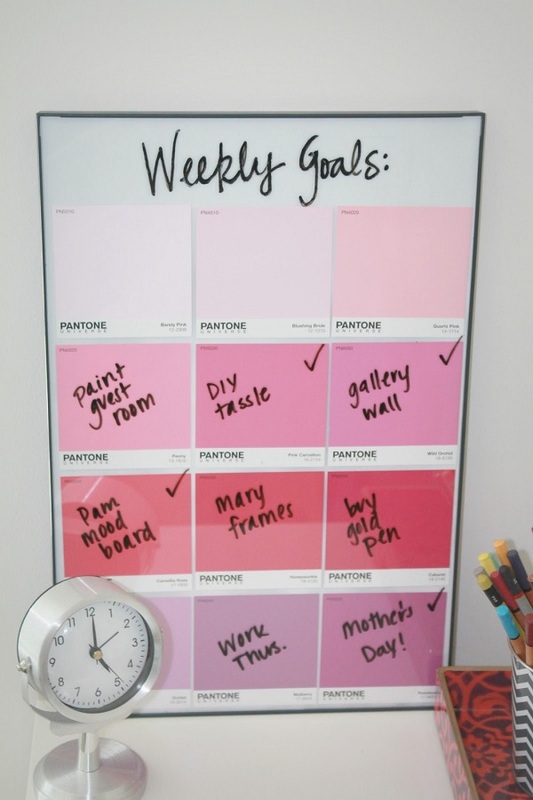 Simply create your paint chip backing, frame, and write on the glass using a dry erase marker. 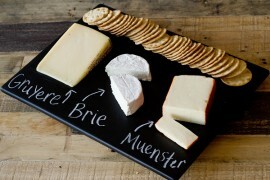 This memo board can easily be adapted to function as a calendar or inspiration board as well. 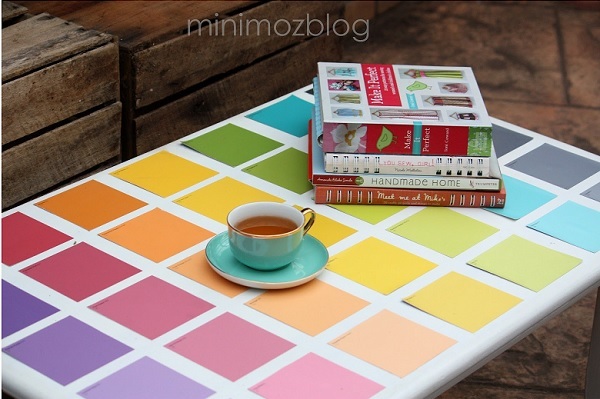 This sunny rainbow table creation by Danielle of Mini Moz is sure to brighten any space. 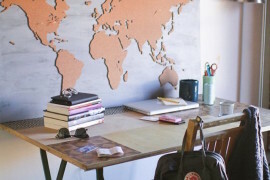 Turn a thrift shop find into the star of your home with paint chips and Mod Podge glue. While this is another project that would look great sporting the ombre trend, a monochromatic color scheme would also be beautiful. Did you ever make a solar system model out of Styrofoam balls as a kid? 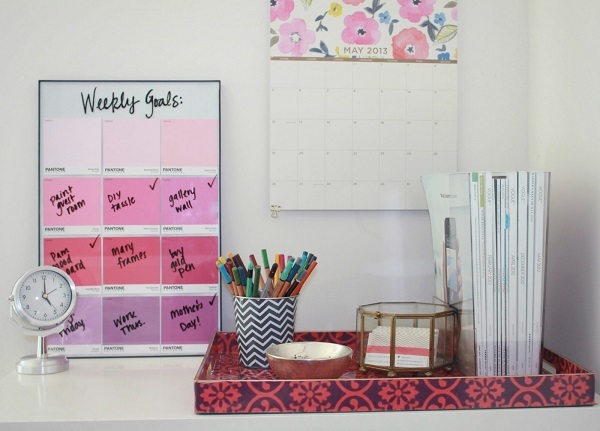 This DIY by Cait of My House, My Canvas gives the childhood project staple an adult twist with the addition of paint chip flowers. 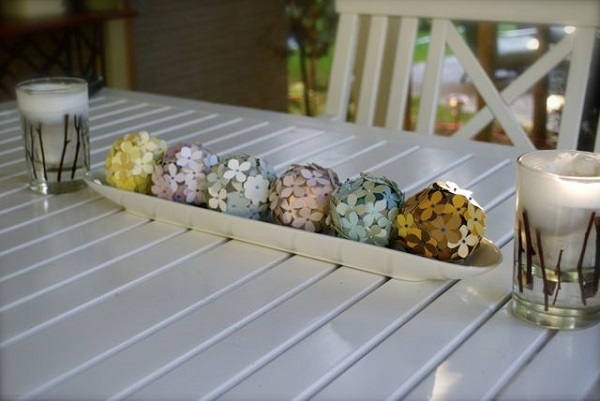 The floral spheres look gorgeous as a table centerpiece for a party or family dinner, and look just as charming as hanging decorations. This pastel pink chandelier is perfect for a subtle injection of color in your everyday life. 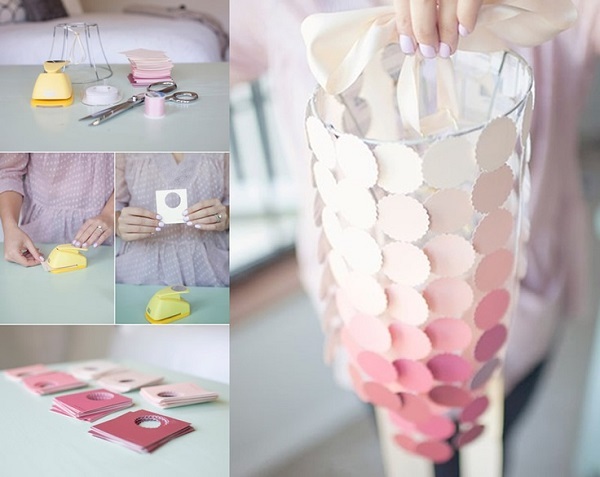 Featured on Hey Gorg, its simple construction using paint swatches and the metal frame of a lampshade makes for an effortless and eye-catching design. 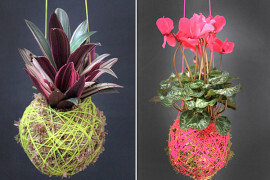 Keep these DIYs in mind the next time you visit the paint section of your local hardware store. 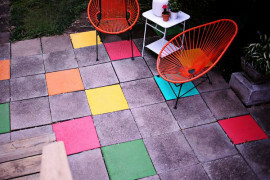 Just a few of these colorful squares could amount to a new decor addition that showcases your eye for design. They’re free- so grab a handful and get creative! 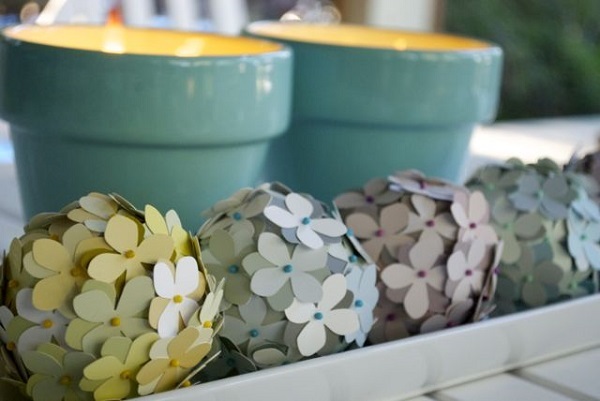 Are you planning to try one of these paint chip DIYs? Tell us which one in a comment below.